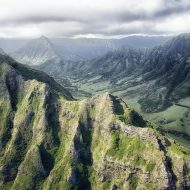 Ever wanted to visit Hawaii? There’s a limited-time Hotels.com promo code here: https://couponjournal.org/hotels/. It’ll help you save on your booking to Hawaii. You can find more details on CouponCoder.com. There are also lots of cool travel deals to help you enjoy your first luau on www.couponcoder.com. Celebrations consisting of great feasts date back to before recorded history in both Polynesian and Hawaiian culture. But until 1819, there were certain restrictive rules that governed these feasts. Men and women had to stay segregated at them, for example. And the commoners were not allowed to enjoy certain foods, such as bananas and pork. The feast held by King Kamehameha in 1819 is special because it banished these divisive practices. “Luau” was the name of one of the most popular dishes served at these feasts. Specifically, it was the name of a leaf that was mixed with meat and coconut milk. This dish became so popular that the name “luau” came to encompass the feast as a whole over time. While the luau continued to be a feast that even the common people could enjoy, for the royalty it evolved into a display of wealth. Each succeeding king attempted to outdo not just the king before him, but his own previous luaus in terms of the amount of food served and participants in attendance. Hawaii became an American territory in 1898, and its culture began capturing the imagination of the country almost immediately, thanks largely to Jack London’s visits and subsequent stories about them. The luau would not become familiar to most Americans until the Tiki culture craze took hold in the late 1930s, however, and would be further fuelled by increased popular exposure to the culture during the course of World War II. As the luau became popularized in broader American culture, it came to take on an equally broad meaning. Many American luaus, even some held in Hawaii, are really nothing more than a standard party with some surface Polynesian elements thrown in. However, traditional luaus are still practiced throughout Hawaii.